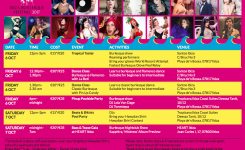 We have been giving away tickets to lucky winners at events as we promote around Europe. In Ireland at the Dublin Tattoo Convention it was Mark Anthony Mcc88 who won 2 tickets to the Tropical Taster show Friday 6th Oct 6pm for following us on Instagram. 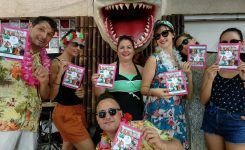 In Rome it was Francesca Vida and Sara Santella who each won a ticket to the Friday 6th of October Pinup Poolside Party. Well done, everyone. See you in Ibiza.